Truth by Kbaig: Referendum for the Freedom of Khalistan! 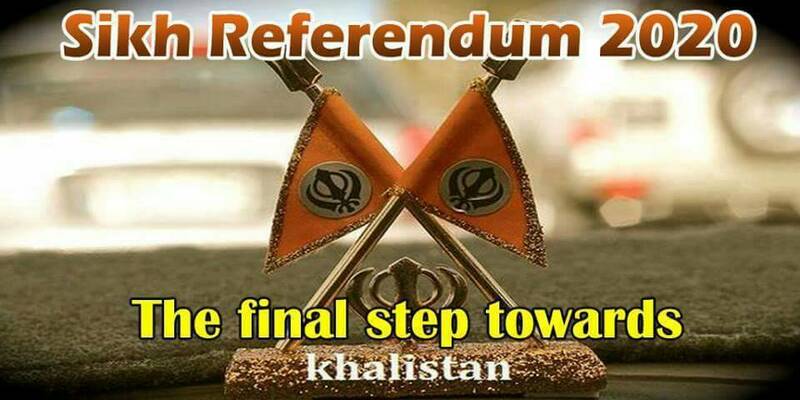 Referendum for the Freedom of Khalistan! On the morning of 31 October 1984, Indian Prime Minister Indira Gandhi was shot dead by her two Sikh security guards at New Delhi. Satwant Singh fired three bullets with his 38 bore official revolver, when she fell down Binwant Singh emptied clip of his SMG over the body of Indira Gandhi. After this, both of them dropped their weapons and said to the other security guards who came there to nab them that they had done their duty now guards may do whatever they want. Binwant Singh was killed during investigations in a closed room within few hours. Satwant Singh was hanged in 1989 on the orders of the court. 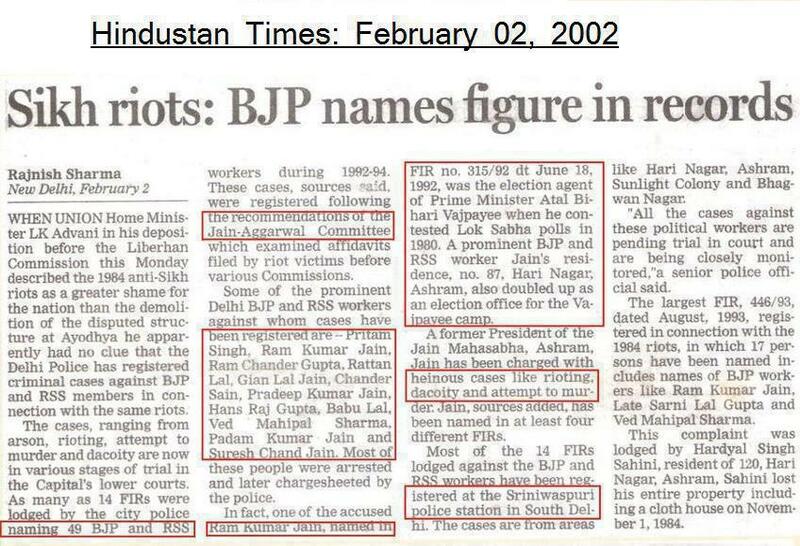 After murder of Indira, representatives of Hindu govt. and Ministers posed that Indira was killed as a revenge of her operation against Sikhs at their holy place Golden Temple that was conducted 5 months ago in June 1984. It wasn't riots, it was a massacre'. 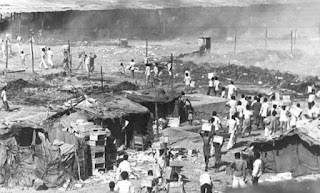 The pogrom of Sikhs was well organized after death of Indira Gandhi. Right after the independence from British Crown, the biased activities against Indian Sikhs were started. This has been unveiled by a Sikh Officer Kapoor Singh who served in Indian Civil Service when he was terminated for service for no reason and without adopting the proper departmental procedure. 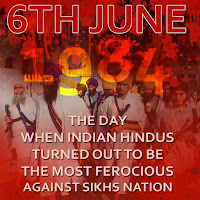 This was a clear sign of anti-Sikh activities started by Hindus. Kapoor Singh unveiled the letters written by Jawahar Laal Nehru after independence of Hindu India in a pamphlet ordering all the Commissioners and Deputy Commissioners of Indian Punjab to treat Sikhs as belonging to a criminal tribe especially those Sikhs who have migrated from Western Punjab (Pakistan) to India. They were even ordered to shoot down Sikhs without any hesitation so that Sikhs can realize their status as a minority in a Hindu India. When these orders were published in the Pamphlet in October 1947, Akali Dal not only protested against it but announced to start a campaign against the Nehru govt. 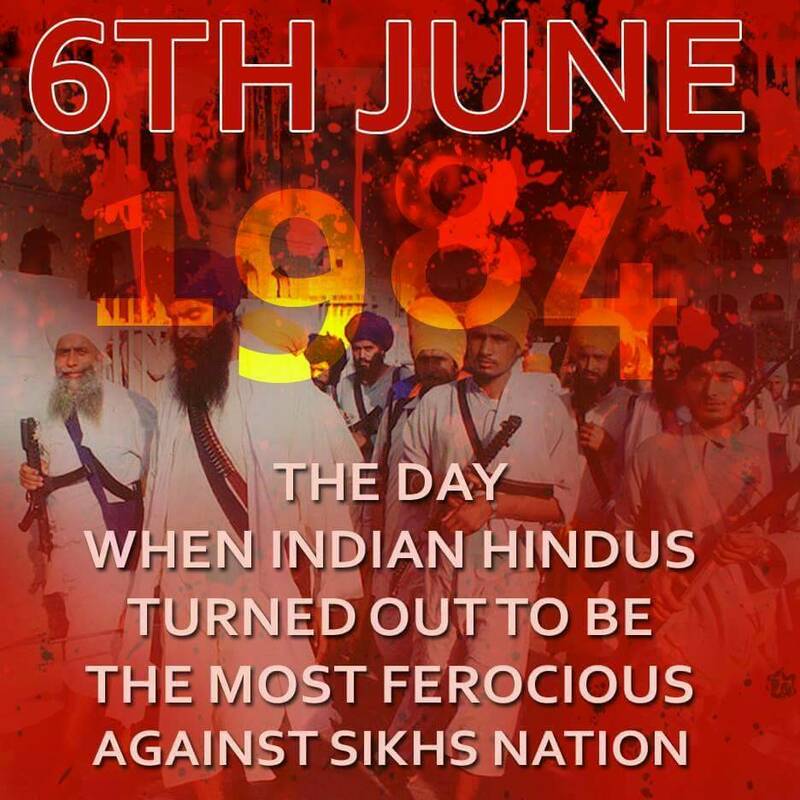 This was the first step towards the Khalistan which Indian attempted to crush brutally, how many Sikhs were killed during this operation and how many were gone missing, this is a long story of the dark Hindu India’s history. 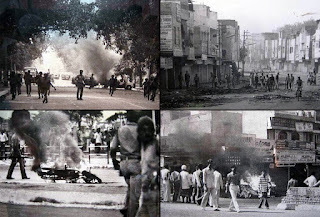 The 1984 anti-Sikhs riots was directed by Indian Govt. India succeeded to hit hard against the Khalistan freedom movement when Pakistan helped Indian govt. The special report published on 13 January 2017 in The London Post has the details of the interview of Dr Jagjit Singh, Leader of the exiled govt. of Khalistan living in UK which he gave in 2002. 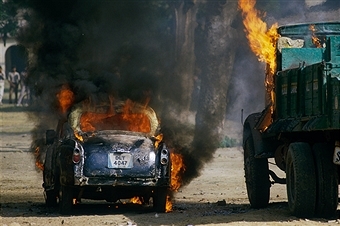 In 1966, New Delhi divided Eastern Punjab into Himachal Pradesh, Haryana and Punjab in order to limit the strength of Sikhs. Sikhs who migrated from Pakistan were settled in states away from Indian Punjab in such a way so that they cannot return to Eastern Punjab. Majority was settled in New Delhi, that is why when Indira was murdered in 1984, more than 20,000 Sikhs were massacred only in New Delhi. The judicial commission for investigation of such a massacre held ruling Party Congress’s selected members of parliament especially three ministers from Indira’s cabinet for planning the massacre of Sikhs. Whether it is the so-called secular party like Indian Congress or extremist Hindu BJP both have posed in such a way as Khalistan freedom movement have been totally crushed. Indian media also stood by the govt. to suppress any news about Khalistan. However, Sikhs are continuing their struggle against India especially those who have fled to USA, Britain and Other European countries in order to save them from Hindu Extremism. They have struggled hard to get a status separate from Hindus. Now many Western intellectuals acknowledge that as Muslims of India were given a separate homeland on the basis of Two Nations Theory in 1947, similarly Sikhs should have been given freedom where they were in majority. Streets of Delhi The Day Indira Gandhi Was Assassinated. Keeping in the view the support in the West, the exiled govt. 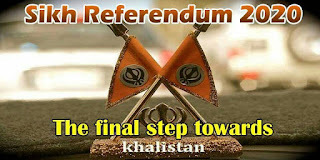 of Khalistan have declared 2020 as a year of Referendum for Khalistan. Although Sikh leadership active for Khalistan is avoiding to show their struggle on International media however, they have started a well organized struggle on Social Media for referendum of Khalistan. Sikhs are of the view that if British govt. can hold referendum in Scotland to give a chance to the public to decide their fate, Eastern Timur can get separated from Indonesia through referendum, Sudan can be divided into two parts through referendum than why a referendum cannot be held in India for Khalistan? 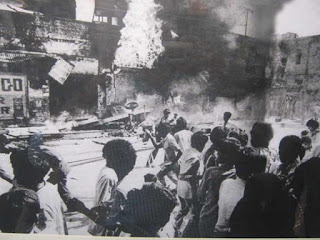 The pictures and videos of violence against Sikhs in India since 1947 are being shown on social media so that the criminal and extremist face of Hindu India can be unveiled before the world. Now we have to see that whether Pakistani rulers, intellectuals support Sikh movement for their rights or keep stuck to their business interests in the name of non-interference into the internal situation of India?? ?